A beautiful, colorful ram with strong EBVs across the board. He is NSIP Maternal Certified. He has some strong genetics from Mary Bakko’s now-retired line, Misty River Farm, as well as some Iowa and Missouri sheep in his pedigree. EBVs from the 2018 lamb crop 120 day weight data. Photo taken in mid October. 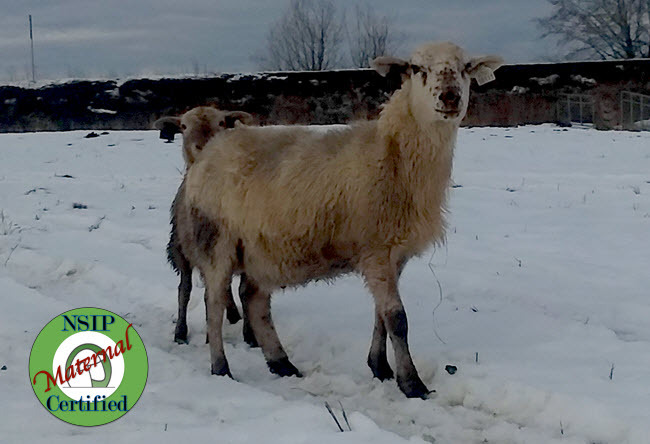 This ram is weaned and ready to go to a new breeding home today! Stocky, white freckled ram. 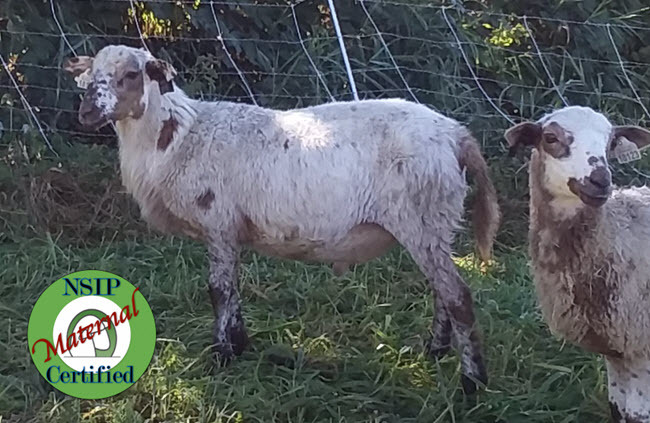 Very strong and balanced EBVs across the board, this ram has it all, growth, milk, prolificacy and survival. Pedigree is a diverse blend of Birch Cove, Thistle Grove and Misty River farms genetics, bringing in outside blood to the PNW. Photo taken Feb 2019. EBVs from 2018 lamb crop 120 day weight data. This ram is ready to go to a breeding home today!